We are a group of volunteers who all have a personal connection to Royal Air Force Newton in that we either served there full-time or part-time with the Air Training Corps and/or had a relative based at Newton. From left: Jeff Proudlock, Stuart McNeill MBE, John North and Sid Adcock. Plus an army of volunteers who help out at various events. 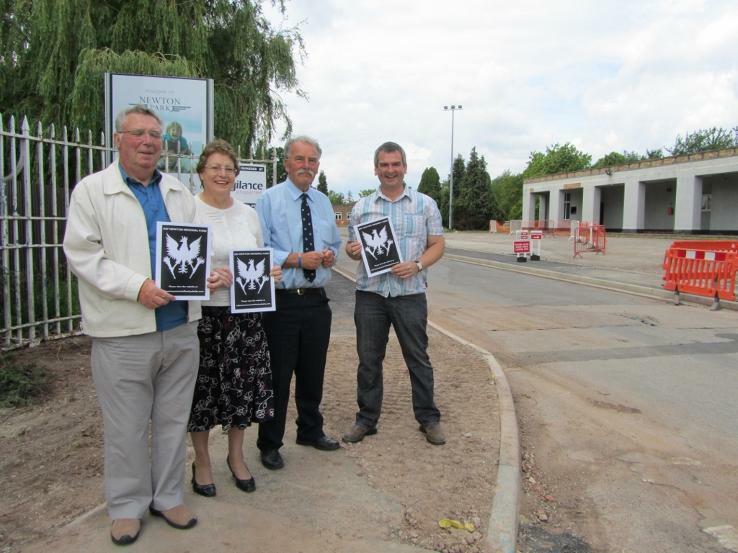 BELOW, FROM LEFT: Michael Walker, Janet Greasley, John North, Tim O'Brien.